Live Clerking for Every Auction! Our current list of auction software now includes Live Auction Clerking Software. 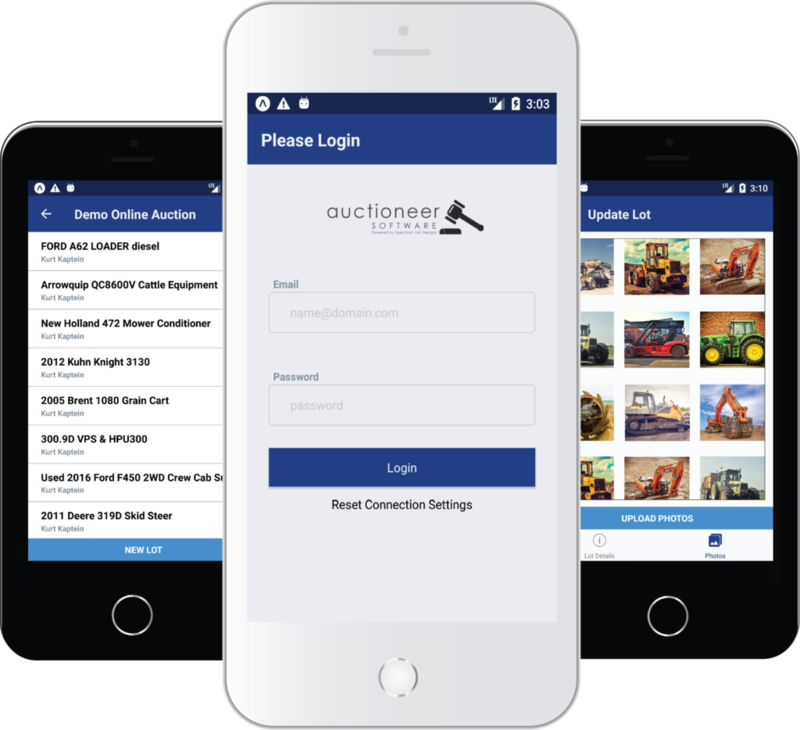 We can now say that we offer the FULL solution to all auction companies for their online and live auction needs. We have created a 3 minute video to give you an overview of our Live Auction Clerking Software. 866-773-2638 to answer any questions you have and to see how our software can work for your company. Item entry, winning bids, and registration included in software. Any customization will be quoted. Entering items into your auction system for your live auction is easy. You can manually add each item along with the pictures or we have the ability to upload a spreadsheet containing the information for easy and quick upload. These items will also display in an auction catalog format on the front end of your website. While at the auction site, you have the ability to register bidders two different ways: 1. Select from bidders already registered on your auction site. 2. Register a new bidder by entering in their information. As soon as the winning bid amount has been assigned to a bidder an invoice is instantly generated. All items won by the bidder will be on one invoice until it is paid. Additional items purchased after this payment will generate a second invoice. Need to add another item to the auction while the auction is going on? No problem. We have developed a simple process for those in the trailer to duplicate a lot for quick item entry. As you are registering bidders you have the ability to print clerking sheets for your auctioneer. The information displayed on this sheet gives the clerk the space to write a bidder number and the winning bid price for the item being auctioned off. You can apply payments from the invoice screen. There are different payment types as well as the option to set the payment amount. Once payment is applied the invoice will recalculate and adjust the totals at the bottom. When the invoice is paid you can print a copy of the invoice or email it to the bidder. As with all our auction types we have reports available. We have basic ones already integrated into the system, however we can generate any report you need because our software can be customized for your company.